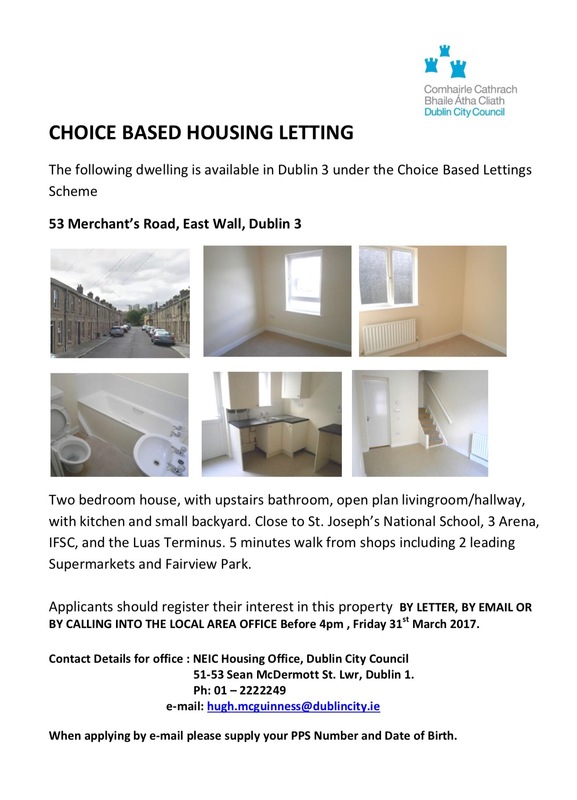 The City Council has published details of another property that is available under the Choice Based scheme of Lettings. If you are interested in being considered for this house, contact the City Council or you can always touch base with me on raymcadam@gmail.com. This entry was posted in City Centre, Dublin City Council, East Wall, Housing, North Strand, North Wall. Bookmark the permalink.